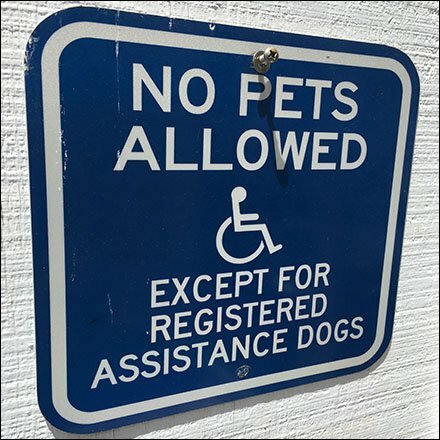 Retail has to draw the line somewhere, so No Pets, Registered Assistance Dogs Only here. Pets are generally excluded, even though this is a rural Farm Store retail setting. And I wonder if anyone would notice a parakeet or parrot perched on my shoulder? Still a rule is a rule, I suppose. This No Pets, Registered Assistance Dogs Only signage seen at The Lands at Hillside Farms, a non-profit, educational farmstead teaching sustainable life choices, Shavertown PA.